This month, Altered Feast is very proud to present a Norwich WoW Festival special edition. This is the first year the Women Of The World Festival has come to Norwich, so we jumped at the chance to get involved. 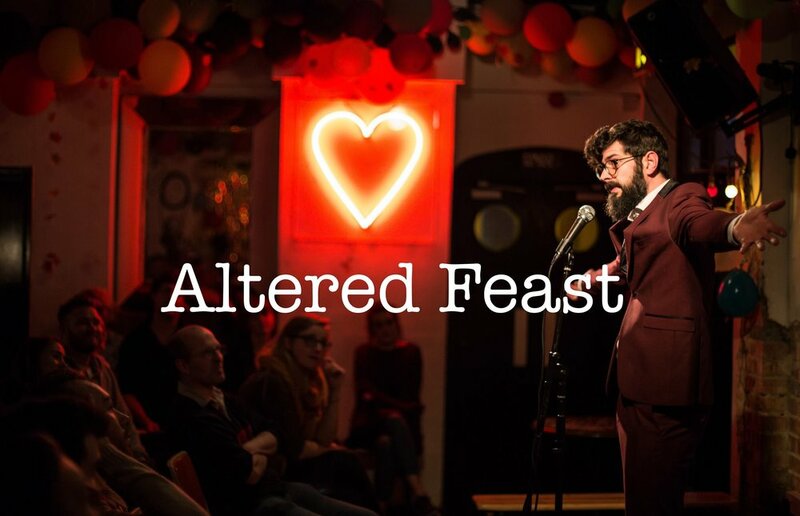 Here at Altered Feast towers we pride ourselves on booking a diverse range of performers, including the constant presence of some of the very finest female comedy acts on the UK circuit. This month we’ve knocked it up a notch, bringing you one of the most exciting lineups yet. And of course, your resident host MC Tom Clutterbuck. Everybody’s favourite quick-fire open mic section - “2 Minutes Of Whatever” will of course return, so get in touch here to secure your slot, or decide on the night. It’s not just stand-up, anything goes. If you want to share an opinion, a story, a song, read the bar’s cocktail menu in a monotone, stand facing the back wall, brush your teeth with an electric toothbrush - it’s up to you. Well maybe less, we can’t enforce that, but try and do your full two minutes, after all, that’s just how long it takes to brush your teeth. In keeping with the theme of the event though, we’d prefer to only host female open spots this month. Don’t worry though dudes, it’s just this once. But you get £2 back for doing two minutes!